This is our 5th Fund for Hope fashion show luncheon celebrating our 11th year of serving the homeless and needy in our community. This is our annual fundraiser to support our programs. Clarita’s House Outreach Ministry is a non-profit program for the homeless and disadvantaged. We are a Christ centered program based on biblical principles. Our outreach team serve the homeless on the streets, in shelters, in the woods and in low budget motels. In Osceola County, we are putting most of our emphasis on the children living in hotels, on the streets and in the woods. We provide groceries, clothing, personal care items, school supplies, toys, spiritual support, mentoring and other resources to these families with children. There are over 3,000 registered homeless children just in Osceola county alone. Most of these children live in aged rent-by-the-week or by the month motel complex along U.S. Highway 192, minutes away from Disney World. Most are doubled up with friends and relatives and some are living in cars and travel trailers. Our long term goal is to have transitional housing accommodation and resources for these families with small children. We depend solely on assistance from individuals, churches, businesses and foundations to operate our programs. Join us for a fashion show benefit featuring fabulous styles and brands from the clothing bank’s Seed Boutique and fashion designers! 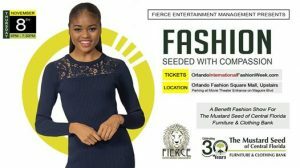 Show will take place upstairs at the Orlando Fashion Square Mall as part of Orlando International Fashion Week. Parking available at movie theater entrance on Maguire Boulevard. Enjoy light refreshments and exciting raffle prizes! Come support your community neighbors in need and celebrate The Mustard Seed’s 30th anniversary! 100% of proceeds to benefit The Mustard Seed of Central Florida! 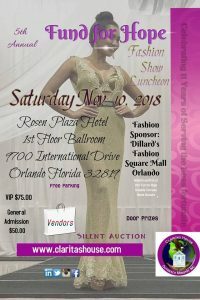 Come in your couture, and enjoy ‘Threads of Hope’ – a fabulous fashion show benefiting House of Hope Orlando! 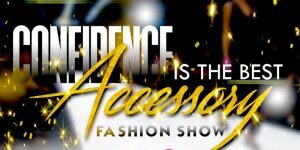 The House of Hope teens along with local celebrity models will be modeling the latest fashions donated by Dillards and local boutiques. ‘Threads of Hope’ is for fashionistas of ALL ages, male and female! Join us for an unforgettable & fashionable experience that will include appearances by not only the HOH teens but also a few local celebrity models! 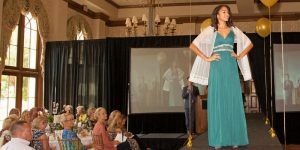 Preceding the catwalk strut, enjoy lunch, a raffle, and shop through the featured local boutiques… all while ‘sewing seeds for healing’! Save our Women DW is hosting their first very own fashion show to expand on women empowerment. Our goal is to give women exposure to their power purpose and value. While this is such a fantastic event that helps women it also helps our organization accumulate funds for our upcoming Women’s Program that aligns with nourishment and growth. Women will have the capacity to hold information from our program to accommodate their selves on a everyday basis. What you wear can say much about what kind of person you are and how much confidence you exude. It is the first impression you make. The basis behind this fashion show is for the young and older women to embrace their power purpose and value. WE HOPE TO SEE YOU ALL THERE!!!!!! 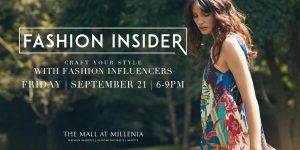 Join us in the Grand Court at 6pm for a welcome reception, meet with fashion influencers, see the trends and learn how to make them your own. Enjoy a high-energy DJ, champagne toast, and models showcasing the season’s must haves. View our version of an art installation, it is purely fashion. The fun continues from 7:00 to 9:00pm in participating stores with special events and special offers. Full admission $25 fee benefits the Orlando Museum of Art. Ticket purchase includes one complimentary admission to Orlando Museum of Art’s Nick Cave: FEAT. exhibition, on view from September 14 – December 30, 2018. Complimentary valet parking is offered to attendees, please mention upon arrival at the main mall entrance.